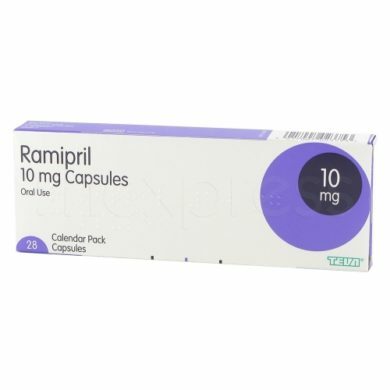 Ramipril is used in treatment of high blood pressure and congestive heart failure in patients including reducing the risk of heart attack, stroke and prevent the worsening of kidney problems. Ramipril is known as an ACE inhibitor working by relaxing arterial muscles and increasing the arteries size, this allows the heart to pump blood with ease. The increased blood flow through the increased passageways helps lower high blood pressure. Ramipril comes in capsule form and is an effective medication in the treatment of high blood pressure for all ages. Ramipril is in a class of drugs called angiotensin-converting enzyme (ACE) inhibitors. Angiotensin-converting enzyme (ACE) is an enzyme in the body that is needed in the development of a chemical called angiotensin II. Angiotensin II causes the narrowing of arteries, thereby increasing blood pressure. ACE inhibitors prevents the development of angiotensin II, therefore widening the blood vessels and aiding in lowering the blood pressure. Ramipril capsules are taken daily to reduce high blood pressure. But the dose may change depending on the condition you are treating. A doctor will recommend the correct dose for you to take on a daily basis. Like all medications there are side effects you need to be aware of. However not everyone will experience side effects when taking Ramipril. 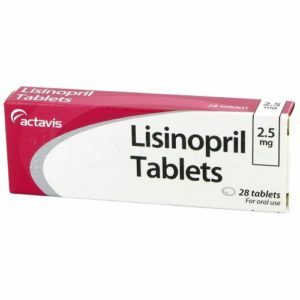 You also need to keep in mind some side effects can be quite minor compared to the serious condition you are treating. 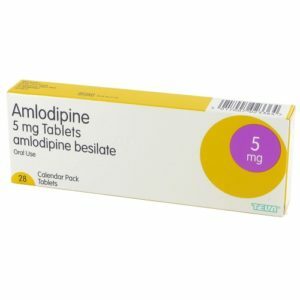 How can I buy Ramipril online? Ramipril is available to treat high blood pressure and can be bought online very easily. Firstly, you will need to complete an online consultation to purchase the prescription medication. This is a free consultation that only takes a few minutes. Once that is completed, you pay for the medication and it will be sent to you from the chemist within 24 hours. 38age. BMI of 23. High BP 153/90 average based on a day 24 hour reading. Started Ramitril 5mg. After 5 weeks no side effects. Will get tested if my kidneys take it well in a week via blood test, says my GP. Last reading says 103/77. but was higher average 120/80 (home measure sitting). I also take hibiscustea and arugola which are very helpful. I believe this helped as well to bring my BP down. I haven’t had any side efffects, I am think this is a great medication so far. My blood pressure is normal now it was at 150/90 now its normal and I feel great. After being diagnosed with very high blood pressure I’ve been taking Ramipril for 2 months now. The side effects I am experiencing are 1/ I get very tired in the evening at about 8pm. 2/ I am beginning to get a bit forgetful and confused from time to time. 3/ Sometimes I get this tingling sensation in my hands and wrists (it feels like a mild electric shock). But apart from that the drug is manageable and doesn’t really interfere with my day to day life. Interestingly, my high blood pressure was discovered during my regular blood donations. The intake staff recommended that I consult my doctor. My doctor prescribed 2,5 mg ramiprilum (brand name: Tritace) once daily. I have been taking it religiously for 5 years now. Blood pressure is good. No side effects. The donation center now says that my blood can only be used for adults, not children. I was prescribed Ramipril (5mg/daily) and 4 other medications (Aspirin, Effient, Atorvastatin, and Coreg) after a heart attack 6 years ago. The only side effect I’ve had is constipation. I don’t take the Coreg or Effient anymore, but the constipation has continued, but is diminished. So I can’t say for sure which medication is causing the issue. I take 1 small capsule of Ducosate Sodium daily to counteract this side effect (the full dose of 3 capsules seems to be too much for . This seems to do the trick for me. I have always had slightly low blood pressure. The Ramipr lowers it a bit more (unfortunately). I believe that after a heart attack an ACE inhibitor is almost always prescribed regardless of blood pressure. Poor lifestyle and extreme stress sent my BP soaring to 196/132. I was immediately prescribed Ramipril I took the medicine @ 4pm and by 10pm I took my BP reading it was 153/95. Still some work to do to bring it down but for day one not bad at all. I use a wireless cuff BP machine Qardio which tracks all the readings I make which help me guide the GP. It also tells me if I have an irregular heart beat. Good investment. Hi been on 2.5 ramipril and 2.5 bisoprolol furmanate for hypertension but getting headaches and light buzzing in my hands and fingers and arms feeling tired. Does anyone else experienced these side affects. 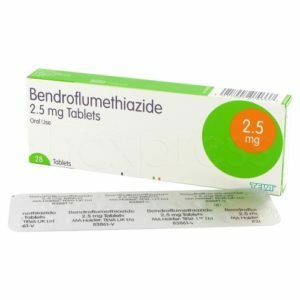 Was put on Ramipril 2.5mg by my GP in the UK as a tester after having consistently high BP (160/105 average) . I am a slim, fit non smoker and my BP is hereditary. For the first couple of days I felt a bit `giddy` and lightheaded at times but persevered with it. Took BP after 5 days and it was 126/80. It has been consistent since so I have to say that it works. Some of the people that write these reviews are hypochondriacs that spend their whole lives with exaggerated ailments and worries. I appreciate that not all drugs work for everyone but ramipril has some glowing PROFESSIONAL reviews and if all you need is your BP lowered then it’s undeniably effective in practice.